November - This is the beginning of a period of hibernation. It gets dark before we get home and the sun is just rising as we are travelling to work. We always think November is a quiet month but this time last year we were in Australia and looking back over the past few years this month is not always the quietest of the year. It seems that for most of the time Steve has been unwell. shortly after getting back from California he developed an ear infection and the antibiotics he took brought him out in a rash. The sinus infection then travelled to his chest and he suffered with a cough for two weeks, the final week made all the more uncomfortable by a sore throat. Meanwhile Jane continued to play squash, table tennis and swim regularly with no sign of even a sniffle. 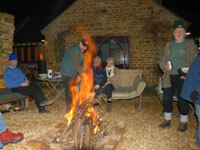 At the beginning of the month we held one of our famous, or should it be infamous, camp fire evenings. We missed the October schedule because we were in California so we decided to coincide it with Guy Fawkes night. As it turned out it was a mistake. The fire and cooking went really well although the fire was probably too hot and some of the cooks were concerned that the sausages were cooking too quickly on the outside and were not cooked enough inside. There was plenty to drink and excellent company so we were in for a good night. It all started to go awry once we got to the fireworks. Take half a dozen grown men and give them freedom to set off explosive devices at will and there's bound to be a problem. We had fireworks falling over and shooting hot "stuff" in all directions singeing the hair of someone who was too slow to duck. Thankfully nobody was injured and everyone had a good time. Next year - no fireworks, someone might sue us if it goes wrong! We've never seen the Rolling Stones other than the Counterfeit Stones in April 2003. 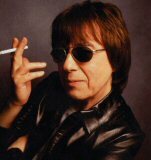 The next best thing would be to see Bill Wyman and the Rhythm Kings. He had a great collection of musicians playing a wide variety of music and it was a good night out. As for the Derngate refurbishment - we struggled to see the difference and where they'd spent £8 million GBP. We were in Northampton and Jane noticed that Steve Harley & Cockney Rebel were on tour at the Derngate so we decided to take a chance and book some seats. Steve was quite a fan of Cockney Rebel, probably because he was born in the East End of London and has always considered himself to be a bit of rebel (without a cause). Surprisingly Graham and Sue agreed to come with us even though they had never been fans. We had a really great night (Steve was stifling a few coughs but he couldn't be heard over the wall of sound coming from the stage and the ice cream at the interval helped). This was the first night of their tour and there were a few technical hitches but the band were really tight and well rehearsed. When they did their recognisable songs - "Mr Soft", "Make me smile (Come up and see me)" and "Judy Teen" they brought the house down and finished with the whole auditorium on their feet. To see video of the original band click here. 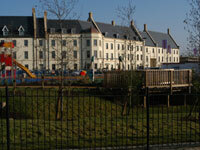 At the end of the month our house guests, Dave & Lucie, moved into their new apartment at Upton. It took them several days to gather together all their worldly goods that had been stored in our loft before they went off on their travels nearly two and a half years ago. The new apartment is spacious with lovely high ceilings and open plan living. Lucie has taken great pleasure in furnishing the new accommodation and Dave is now busy putting mirrors, bathroom cabinets etc up, thanks to the glory of B&Q. It is within easy cycling distance from us so we will no doubt making it one of our many stop-off points.